Throughout the decade that predated the 1967 war, Jordan's declared views regarding Israel and the Arab-Israeli conflict were not basically different from those of the Arab consensus - namely, rejection of Israel's legitimacy. In the wake of the war, King Hussein was the first Arab leader to realise that in order to regain the recently lost territories, which he considered a most vital and urgent task, he (and the other heads of state) would have to offer Israel a meaningful quid pro quo. 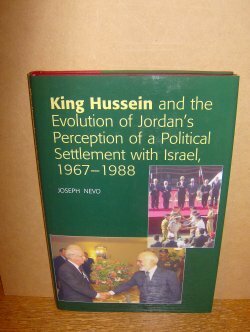 Hence the shift in Jordan's policy was twofold: a change of the traditional statements that had been made by the King and his officials prior to June 1967; and a change in the views expressed by Jordanian spokespersons vis-a-vis the declarations of other Arab leaders.209pp.